I'll admit up front, I have a love-hate relationship with beef short ribs. Don't get me wrong, I LOVE to eat them. There isn't a rich, more beefy-tasting cut of beef out there. However, I'd rather someone else cook them for me. When it comes to smoking beef short ribs, we are talking a long commitment to slow and low and every short rib is different. This is going to involve patience and attention to temperature, but if you are ready for the journey, I'll walk you through my technique. Once you improve on this technique, come back and school me on how to get more consistent results. Ok? Ok, deal. I'm keeping this rub simple because I like simple in this case so the beef flavor shines through. 1Get your smoker fired up and heat to 225. This is the first key to smoking beef short ribs. 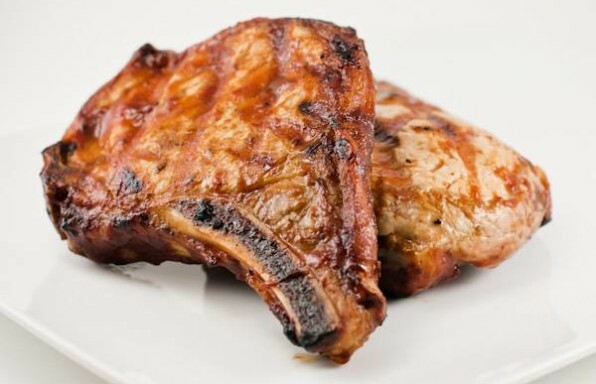 This cut of meat requires a very slow and low session to break down this otherwise tough cut of meat. Don't overshoot your temps and make sure it doesn't creep up too far above 250 during cooking. Keep in mind, if you lose control of your temps, you can wrap them in foil after about 2 hours of smoking and finish in the oven. 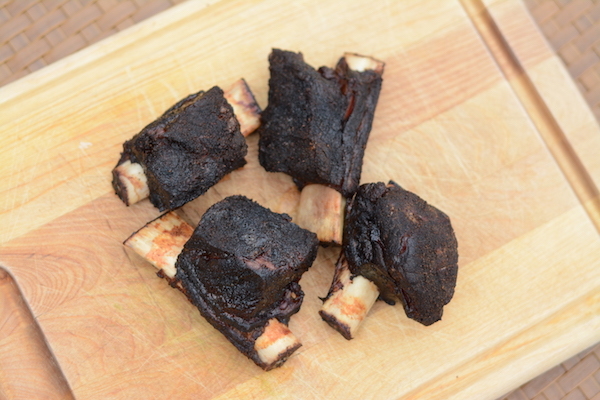 The short ribs won't take on much more smoke flavor anyway after around 2 hours. 2Carefully trim away any silver skin from the beef short ribs. 3Rub the short ribs with the spice mixture. 4For wood, I like fruit woods like cherry. Short ribs don't need much smoke, so just one chunk or about a cup of chips is about all I use for smoking. 5Place the beef short ribs bone side down on the smoker. They are going to remain bone side down the whole time. 6Here is where the patience and fussiness of the meat comes in. Get comfortable because you are going to need anywhere from 8 to 10 hours to get those short ribs to over 200 degrees. Using a meat thermometer here helps keep an eye on your short rib temps so you don't have to open the smoker. 7Check the short ribs for tenderness at around 200. Use a wooden skewer or toothpick to poke the meat. You want very little resistance to prove they are tender. I'm usually happy with tenderness at around 208 for the internal temperature of my short ribs but again, results will vary even from one short rib to the next.